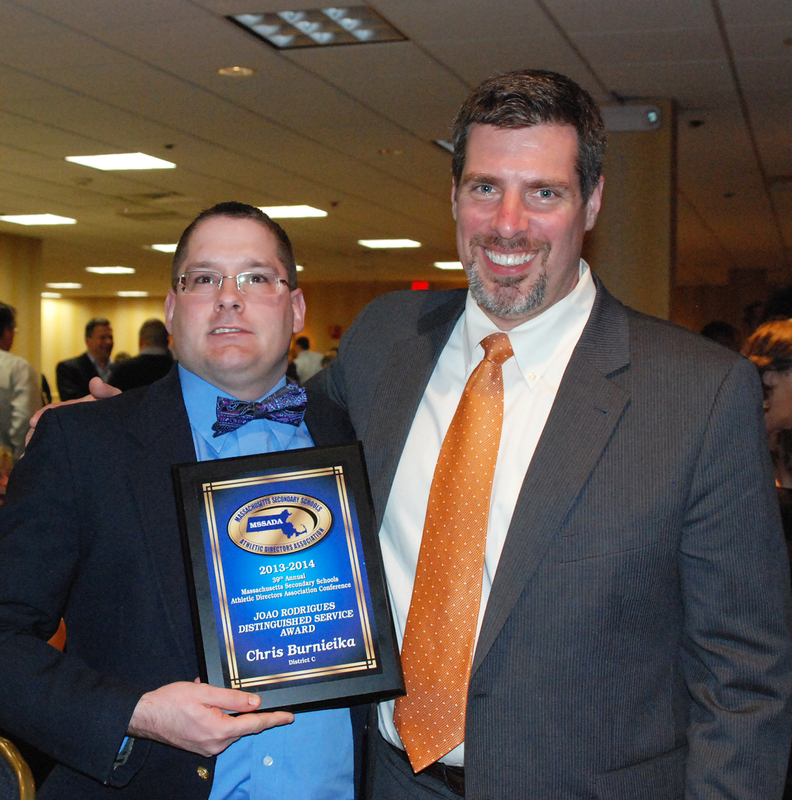 Dr. Cron and Chris Burnieika at the banquet where Chris received his award. All around Rockland High, Christopher Burnieika, who we know as “Beeka,” is very popular with the student body and staff. Recently, the Massachusetts Secondary Schools Athletic Directors Association (MSSADA) notified him of his selection as District C’s Distinguished Service Award recipient for this year. This award is presented annually in each athletic district to a person who has distinguished himself in volunteering his services to one or more schools in the district. The Distinguished Service Award was presented to him on Thursday, March 20 at the Resort and Conference Center in Hyannis, MA. He also said that he has been at Rockland High for the last nine years and that he’s done everything possible to support our athletic teams. He started in 2006 actively coaching and volunteering for the football team, boys and girls basketball teams, and the softball team. Now, as of last year, he has a full time job as Operation Assistant for WRPS. It is a true honor that out of all of New England, Beeka was able to represent Rockland High to win this award. He has done so much for this school that needs high recognition.